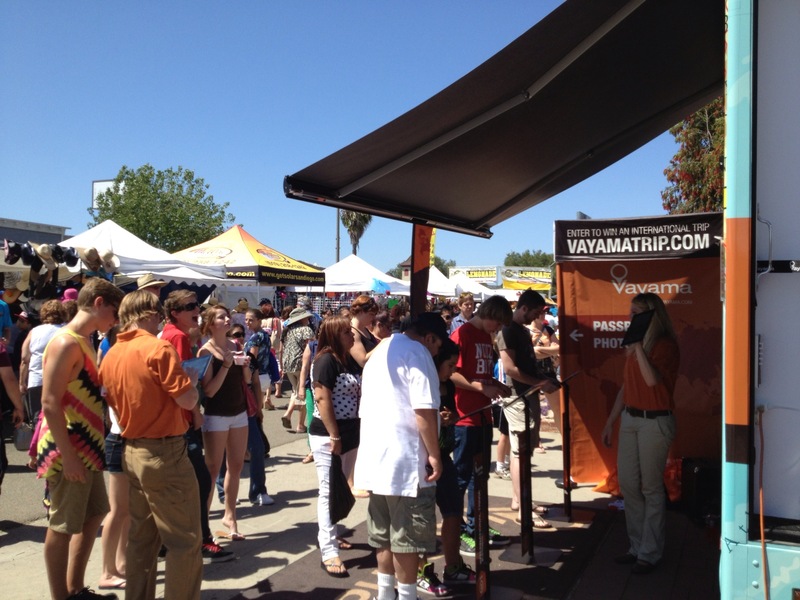 Wanting to get people one step closer to making wanderlust fantasies a reality, Vayama.com’s Go Somewhere Tour traveled to thirteen cities to inspire consumers to explore the world we live in. 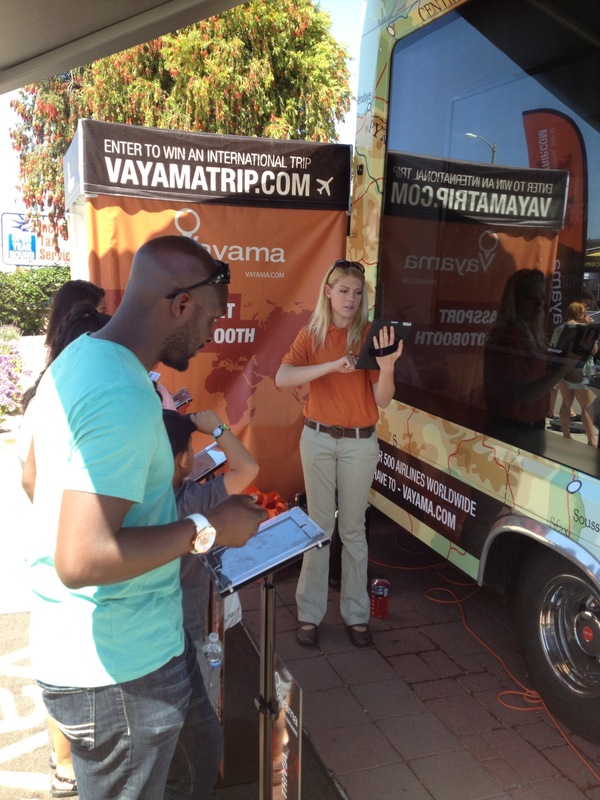 The mobile tour consisted of an 22-foot custom designed advertising vehicle that acted as a global discovery hub featuring fun activities and an online sweepstakes. The mobile showroom tour garnered over 2 million impressions on its four-month long trip as it attended 54 fairs, festivals, and community events. The Go Somewhere Tour launched in April at the Toyota Grand Prix in Long Beach, CA and completed its journey at Seattle’s Seafair weekend. Curator PR and Beyond Traditional came together to produce the 3D mobile showroom and experiential tour to provide consumers with an immersive brand experience. One of the hurdles of international travel is that only less than half of the American population has a valid passport. Beyond Traditional saw this as an opportunity to engage with consumers by offering official passport photos onsite. Along with brand ambassadors distributing branded collateral and boarding passes, event attendees were given the chance to win prizes by playing a game of travel trivia (60 was the high score to beat!) hosted on a 80” TV that was mounted on the side of the vehicle. More photos of the tour are available at facebook.com/thinkbt.